We make it easier for you to deliver the network solutions that empower your business. Our solutions, each founded upon the carrier-grade network we own, reflect this company-wide maverick spirit. We’re willing to push the limits—of our industry and even of our own experiences—if it means we can deliver you a better, more reliable business outcome. Whether you want to isolate your core networks from your existing WAN provider, leverage Amstar’s fibre network to connect your priority locations, close an on-premise data centre and relocate your servers to a third-party data centre or embrace a new cloud-based service, we’ve got the infrastructure, connectivity, knowledge and local support that can help you deliver your desired outcome. Our private, highly secure Ethernet services allow you to connect your offices, data centres and business sites to deliver both IP and non-IP traffic across a single Ethernet connection. Whether you choose to use IP VPN services alone or with other Amstar Solutions Services, our common access architecture provides the flexibility to customise your enterprise network. No matter what your customers want to talk about, they need to feel they come first. But if customers can’t reach you when they want, it’s a missed business opportunity. Our collaboration solution combines landlines and smartphones into one, so customers can reach you anytime. 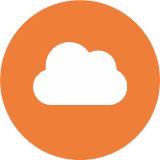 Cloud solutions that perfectly suit your business can make all the difference. Amstar Cloud Compute gives you the options and features to build and configure a cloud deployment that’s right for you, right from the start. You’ll get a flexible platform to help you connect existing legacy systems while you manage all your cloud workloads from a single console. Then, as needs change and your business grows, Cloud Compute is flexible enough to handle new demands. Give your business a foundation to grow on by hosting your infrastructure in an interconnected data centre. Our colocation services give you a secure environment for your hardware and access to network connectivity that lets you meet operational and customer needs around the world. Stay focused on your critical goals by letting us handle the day-to-day tasks of keeping your network secure, agile and scalable with our Managed Network Services (MNS). You manage the business. We manage the network—end to end or complementing your team. While you focus on what you do best, we’ll do the same. Managed Network Services allows us to bring to bear our full suite of networking solutions and wide-ranging experience on your communications network, based on what works best for your business.